Eating fried chicken can be so transcendent that it leads to deep thoughts like, "Why do people eat chicken in non-fried form?". Oh right, diabetes. 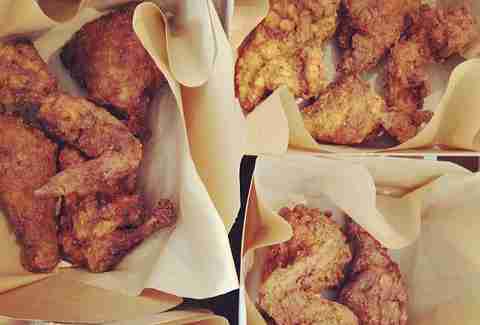 But sometimes the hankering for crispy, juicy fried bird is so strong you can't be bothered with such trivialities as "health." 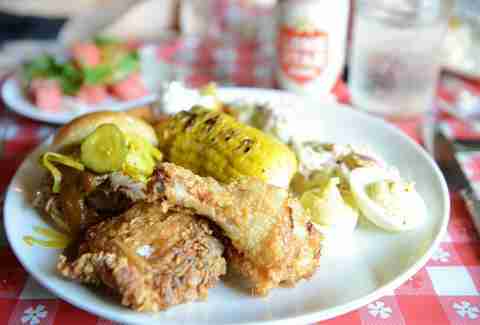 For those times, hit one of these Austin establishments with serious poultry game. Did we miss your favorite? Shout it out in the comments. How did Gus’s chicken become "world famous"? Must have had something to do with the spicy-but-not-too-spicy flavor of the standout fried chicken. This place is friendly, fast, and the sides are worthy accompaniments to the main event -- check out the collard greens made with a borderline irresponsible amount of bacon and the insanely creamy mac & cheese. Get a taste of old-school Austin at Top Notch. Juicy chicken fried to golden perfection, served with a heaping side of nostalgia. Also, this is the only time when eating in a parked car isn’t depressing -- unlike that burrito you’re positive tastes better when eaten in private. While listening to Morrissey. 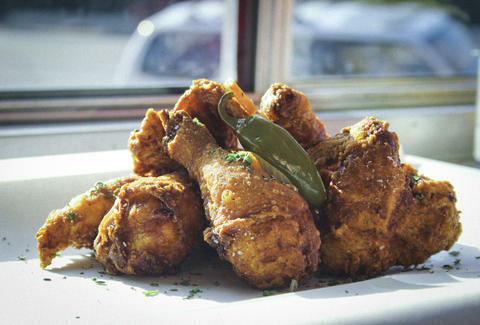 Housed in the former Woodlands space, Little Barrel and Brown is serving up some seriously good fried chicken, thanks to some brining, some hot sauce, and a little buttermilk. 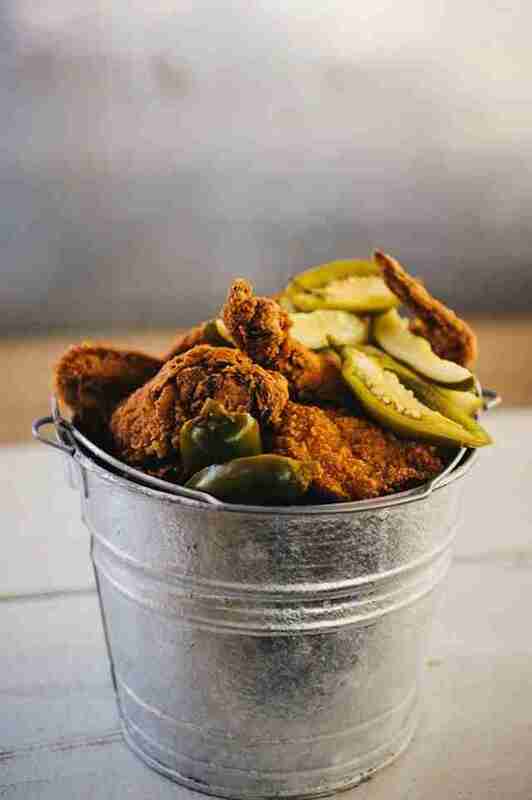 Try the Texas Free Range Buttermilk Fried Chicken on the dinner menu -- you know, if moist, seasoned chicken coated in just the right thickness of crispy batter is your thing. And if it isn't, it's decidedly odd you made it this far. Every Sunday night, Dai Due is serving half of a Dewberry Hills chicken with rotating seasonal sides, coffee, and dessert as part of their Supper Club menu. This is no regular fried chicken, however: it’s deep-fried in tallow (beef fat) in Dutch ovens rather than in a typical fryer. This is the perfect excuse to check out Dai Due if you haven’t been yet. 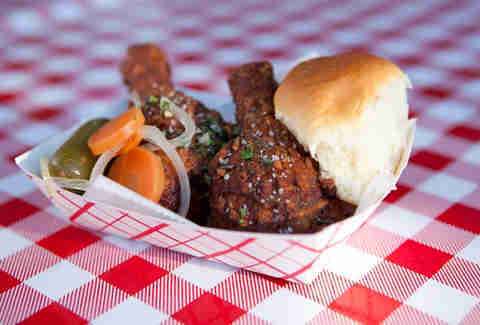 Ms P’s: it’s that cool Airstream with the giant "CHICKEN" sign... you know the one. The two-step brining process, combined with herbs and spices, yields chicken that’s not only flavorful but extremely juicy. Don’t miss her fried chicken breakfast tacos filled with avocado, cheese, refried beans, and cilantro. Hungry yet? 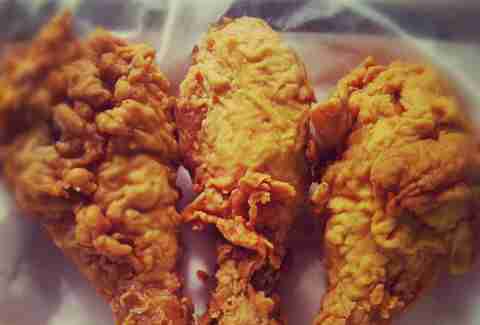 Pro tip: be sure to say hi to Ms P -- she is the Queen of Fried Chicken, after all. 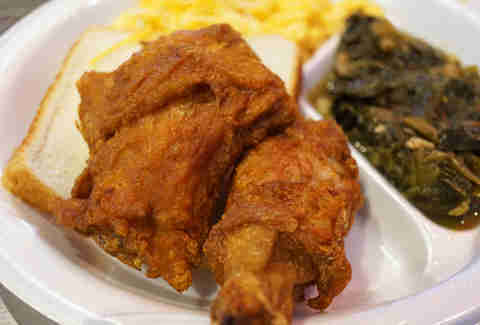 Lucy’s is the type of place where everyone is having fun -- they have fresh cocktails and crispy, perfectly fried chicken. Head over for brunch for insanely good Chicken N Waffles -- deep fried waffles, two chicken breasts, jalapeño-honey butter, bacon marmalade, and coffee syrup. Warning: the encyclopedic menu of Southern treats is seriously hunger-inducing. Check it out! 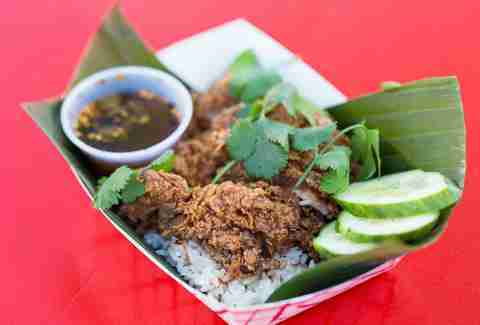 The East Side King truck that’s getting tons of national attention has ours as well, thanks to their Thai-Kun Fried Chicken. It's a moist chicken thigh with a thick, crispy batter sliced up for easy eating, served with chicken fat rice and a side of Spicy Boom sauce (oh, you’ll taste the "boom"). Almost everything on Thai-Kun’s menu is extremely spicy, so the Thai Fried Chicken is a gentle introduction to the fiery-good flavor. Enjoy!